It’s always a joy to design posters for Vulturetown Arts & Willimantic Records. This is for an upcoming event on Sept. 9, 2017. 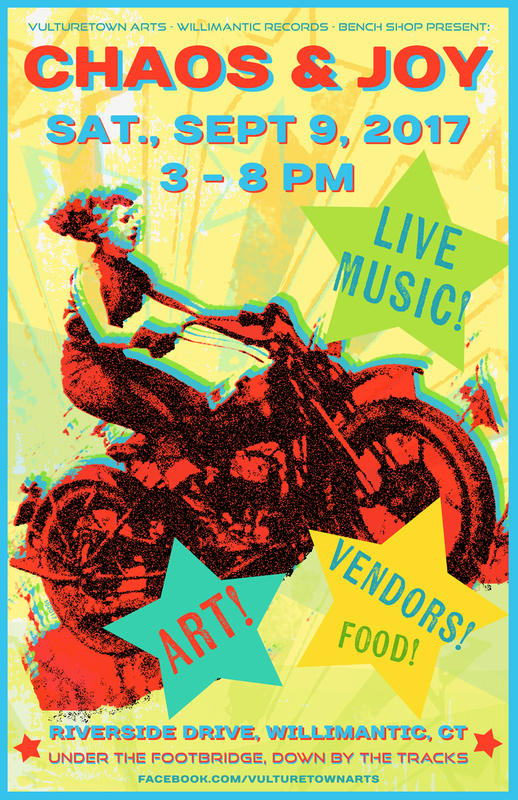 Music, art, vendors!